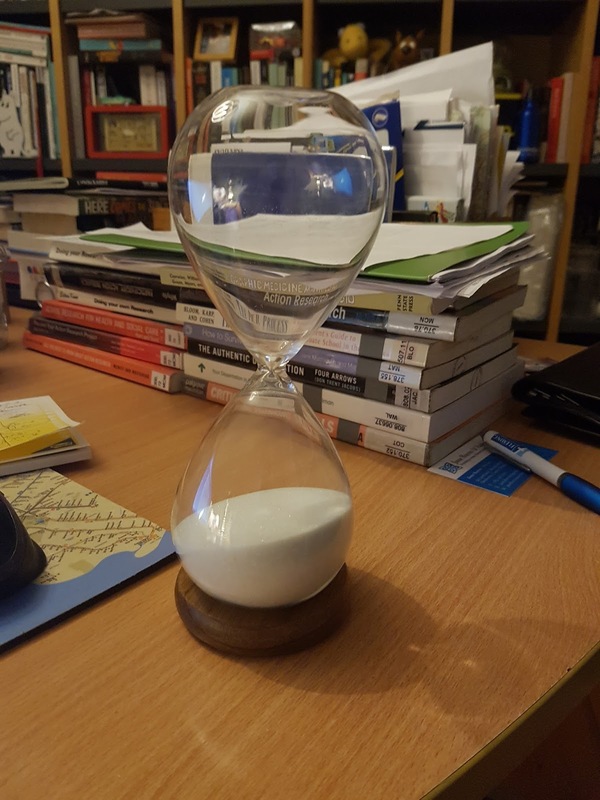 Academic Writing Librarian: Using the 5 minute hour glass in your academic writing! Using the 5 minute hour glass in your academic writing! Some useful Twitter accounts I follow and recommend are listed below. They offer great tips and lots of inspiration! 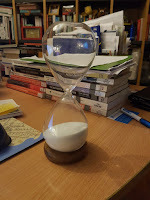 The other addition to my writing toolkit was the recent purchase of a 5 minute hour glass. I used this in 2 really effective ways. The first is for timed writing. I force myself to do a 5 minute concentrated writing session every day. The topics can vary but it gets the writing part of my brain activated! The other way I use the hour glass is when I need to take a break and the sand in the glass then becomes by 5 minute limit for a hop on to social media!